This is good news for wolves. It is about time states are being held accountable for their cruel treatment of wolves, a recently endangered species. De-listing of wolves federally put them in the hands of states that haven’t learned from past mistakes. This surely is the beginning of the end for wolf hating state agencies in-charge of wolf management. Stepp booted several important scientists from her WAC that could have prevented vital information from being left out of DNR wolf slaughter Statistics in the first place. Oh, but wait there’s more. We now have a WDNR administration completely unable to monitor or enforce if dogs are killing wolves. It is illegal for hunting dogs to engage and kill wildlife. Remember that US Fish and Wildlife Services are supposedly monitoring how well WI DNR can manage its wolves. After all, wolves were extinct or extirpated from our woods a few short decades ago, and certainly could happen again if not managed wisely. Stepp’s WAC committee is run by citizen pro wolf hunters that lack a moral compass. It is important to know that these fringe hunters are crafting this wolf hunt to suit their own agendas. Asking the wolf hunters to voluntarily submit to an inspection is outrageous and almost comical. You really think any hunter whose dogs just killed a wolf will volunteer for this sham? This can be compared to asking a serial killer to volunteer to present his human kill to a medical examiner. Where is the professional conduct in this? Where is the justice for the illegally killed wolf/wolves? The public perception is that dogs are killing wolves and that’s illegal. And rules to monitor this controversial method of hunting should have been in place for the first wolf hunt. We are now approaching the third wolf hunt season. I’ve said it before and I’ll say it again: Stepp must resign for dereliction of duty, because she willfully refuses to carry out her duties as WDNR secretary. 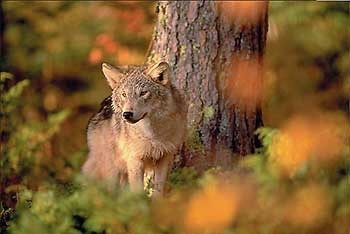 Citizens want wolves in Wisconsin and do not approve of the use of dogs in the wolf hunt. Public input must be respected. It’s nice to hear that there are some people left in Wisconsin with a sense of morality. All of the news from there as of late concerning their bloodlust for the slaughter of wolves had me thinking that this was simply a state of heartless, money-hungry degenerates. Thanks for restoring a small amount of faith in humanity for me. If we can get Walker out of office in November, I have no doubt that good changes will begin to occur.